Decatur ~ Shawn Grundy, 49, went to be with our Lord Thursday, September 13, 2018 in Decatur after a long and courageous battle with cancer. Graveside service is 11:00 a.m. Monday, September 17, 2018 at Bethel Cemetery. 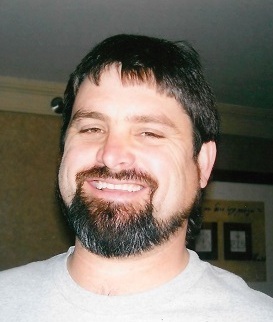 Family will receive friends 2-4 p.m. Sunday at Hawkins Funeral Home in Decatur. William Brooks will officiate. Honorary pallbearers are Philip Grundy, Steve Rodgers, Brandon McGar, Colt Nutter, Bobby Hampton and John Vandenbiggelarr. Shawn was born on February 4, 1969 to Eddy and Eva (Spann) Grundy in Bridgeport, Texas. He was united in marriage to Brenda West on April 16, 1994 in Decatur. Shawn was a diesel technician by trade and loved all things mechanical (aka: Best Mechanic Ever!). But foremost, he was an amazing husband and father. He loved his family! He was preceded in death by his father, Eddy Grundy and his mother, Eva North. Those left behind to cherish his memory are his wife of 24 years, Brenda Grundy of Decatur; his daughter, Amber Jones and husband Wade of Ponder; his sons, London Grundy of Decatur, Hunter Grundy of Decatur; his granddaughters, Haydyn Jones and Kelby Stolte; his brothers, Rusty North and Philip Grundy; his sisters, Falon Grundy and Nicole McGar; his step father, Russell North of Decatur; his step mother, Cindy Grundy of Decatur; his grandmother, Anna Spann of Decatur; Schlumberger and United Engines family; numerous nieces, nephews, aunts, uncles, and a host of friends.